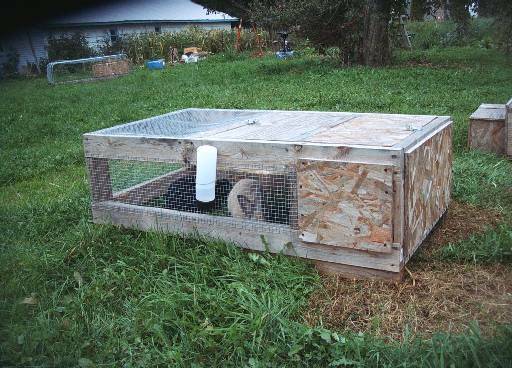 Here is a basic plan for a moveable rabbit hutch. Build a frame 4' long by 2' wide and 18" tall out of 2x4s. Use 2x4s or 2x2s to support some plywood for the nest part. Put 2x2s or 2x4s a foot apart in the middle of the top for an access door. Make sure you have a door on top of the nest as well. Cover the opening on top and sides with chicken wire or hardware wire. 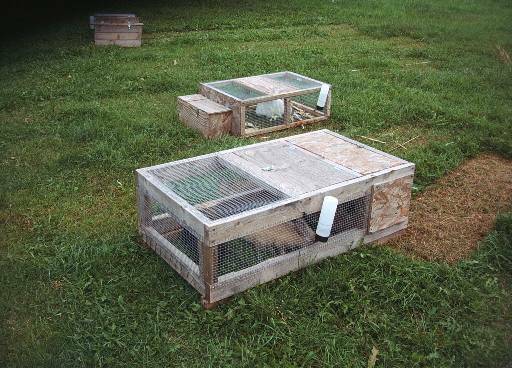 The bottom can be covered in 2x3 or 1x2 mesh fence or chicken wire. As long as the grass will poke through it easily. Don't use hardware wire as the holes are too small. A bottle waterer can be mounted to the sides as well as a pellet feeder if you want. 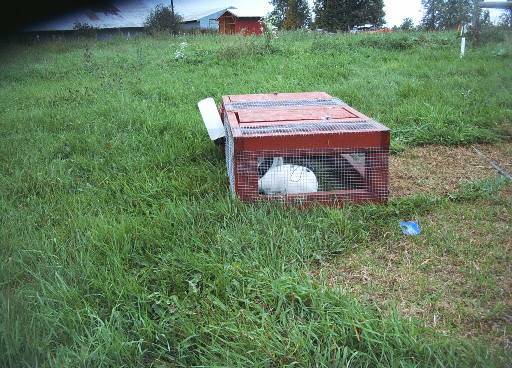 Move the hutch at least twice a day.